Jackie Poplack, M.S.W., R.S.W., is an Adoption Practitioner who has been working in the field of adoption for sixteen years. She has visited children’s villages worldwide including institutions in India, Thailand, Vietnam, South Africa, China, South Korea, Morocco and Cambodia. Jackie was an adoption worker at the Toronto Children’s Aid Society prior to working as a psychiatric social worker in the Day Treatment Program and The Women’s Clinic at The Toronto Western Hospital. At the Toronto District School Board, she provided counselling and support to families and children. Jackie has extensive experience in the fields of attachment, older child adoption, special needs adoption an international adoption and has worked closely with Children’s Aid Societies across Ontario. She is a committee member of Ignite the Spark, (Children’s Aid Foundation) an enrichment program for children in the child welfare system across Canada. Jackie has been listed as a non-sexist therapist by the Women’s Referral and Resource Counselling Centre. Mary-Jo is a parent of five, one of whom is adopted. For the last two decades, Mary-Jo has provided psychotherapy to children, youth and their families. In the last 12 years, attachment, trauma and adoption have become Mary-Jo’s specializations. Mary-Jo is past president of The Association for Training in Trauma and Attachment in Children (ATTACh, Minneapolis MN). Currently, Mary-Jo works with the Adoption Council of Ontario as a facilitator in the Adoption Competency Training for professionals and the Pathways 2 Permanency 2 for parents. Along with an active private practice with adoptive families, Mary-Jo is Program Lead at THRIVE Child and Youth Trauma Service, OASIS Program, which serves Refugee and Immigrant children, youth and their families for Trauma and Acculturation stress. In both Canada and the USA, Mary-Jo provides training to professionals and parents in attachment, adoption and trauma. Mary-Jo lives in Grey County with her husband Kevin Land, where she manages her forest and plays with her grandchildren (not often enough). Joy and her husband, Geoff, became first-time parents through public adoption in 2011, to a sibling group of two boys and a girl (ages 1, 2, and 3 at the time of placement)! Since then, she has absorbed everything she can about sibling adoption, connected parenting, attachment, developmental trauma, transracial and cultural issues in adoption, and more. 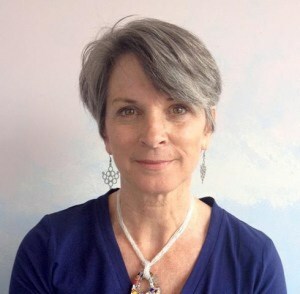 Joy’s career as an occupational therapist (including 11 years of practice in inpatient adolescent mental health and 7 years of practice with individuals adjusting to life changes associated with injury) has given her the privilege of continuously connecting, learning, and facilitating awareness and well-being related to issues of loss, adaptation, identity, meaning, and relationships. She engages in formal training whenever possible, in addition to self-study and networking with others, and loves consulting with parents and individuals who are contemplating adoption. Joy’s desires are to be as effective as possible in facilitating connection and well-being in her own family, and to promote understanding of adoption-related topics for the general public, adoptive families, and those considering adoption, in order for children and families to thrive. Sofie Stergianis is a private adoption professional who has worked in the field of adoption since 1981. Sofie started her adoption career in the Children’s Aid system, and for 14 years worked extensively in adoption and foster care with birth parents, foster families, and adopting families. Since 1994, Sofie has been working as an adoption trainer and adoption practitioner in private practice. She has been offering pre- and post- adoption services and counselling to families, and through the years has been instrumental in assisting with the formation and support of a multitude of adoptive families, both domestically and internationally. Sofie has offered a variety of different adoption education workshops and lectures, and she has been a guest speaker at numerous conferences (for more information - www.adoptioneducation.ca). Sofie is also the co-author of the children’s book entitled What is Adoption? Helping Non-Adopted Children Understand Adoption. Personally, Sofie is a parent through adoption, and her son is now a young adult. Sofie adopted privately in Ontario, and through the years she has gained a variety of experiential insights in open adoption, including navigating the nuances and intricacies. Sofie looks forward to bringing her professional and personal experiences to the Board.